At TS Freight, we offer our clients both Ocean Freight and Air Freight services to facilitate their business import from China to Panama. We work closely with the best transport carriers between China and Panama, which is why we not only offer you the fastest methods for transport of your cargo between the two nations, but are also in a position to give you the most cost effective freight service packages. We can transport your goods from any of the major cities in China, including Hong Kong, Hangzhou, Tianjin, Dalian, Shenzhen, Guangzhou, Shanghai, Xiamen, Ningbo and more, and deliver them to Panama via both Air and Sea. Our wide network allows us to ship your cargo goods consignment, big or small, to all major cities in Panama including Panama City, Tocumen, San Miguelito, Arraijan, Pacora etc. We are China’s premium International Transport Service with over 10 years of experience, which clearly reflects in our streamlined logistics service processes, as well as our commitment to professionalism. When you choose our services for your cargo shipping from China to Panama, you can rest assured that you have hired the best experts in the industry, who will coordinate and manage all the small nuances of your cargo import to perfection. 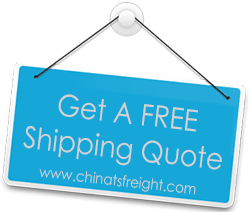 From arranging for pickup, packaging and inventory, documentation and custom clearance processes, loading and unloading and even door to door delivery, we offer all the services you need for a fuss free import from China to Panama under a single roof.